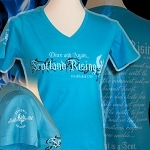 Royal Blue short sleeve t-shirt with Scotland Rising Logo on front and SR Motto on back. 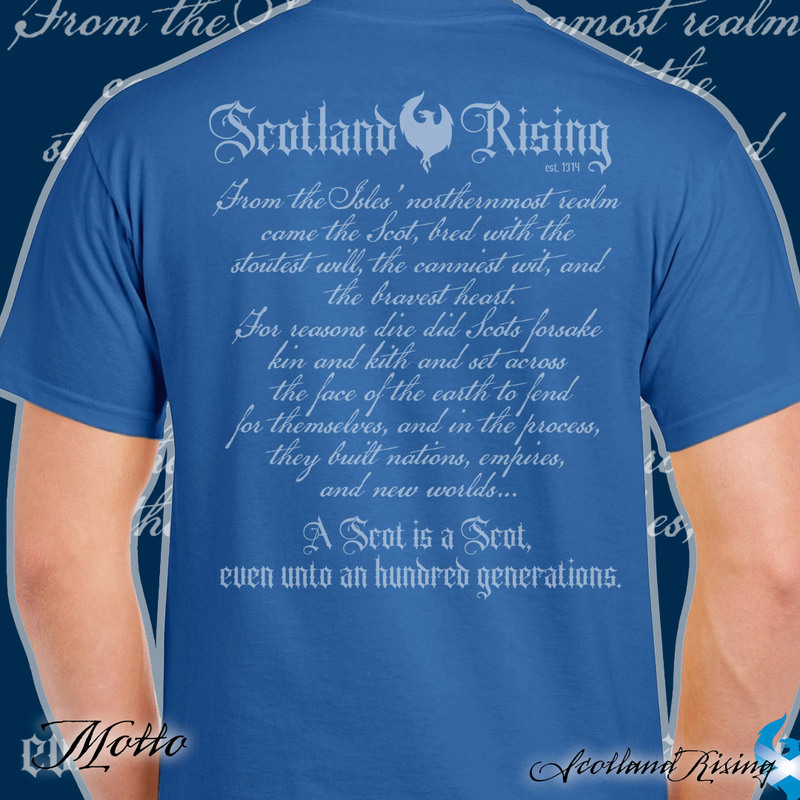 "From the Isles" northernmost realm came the Scot, bred with the stoutest will, the canniest wit, and the bravest heart. 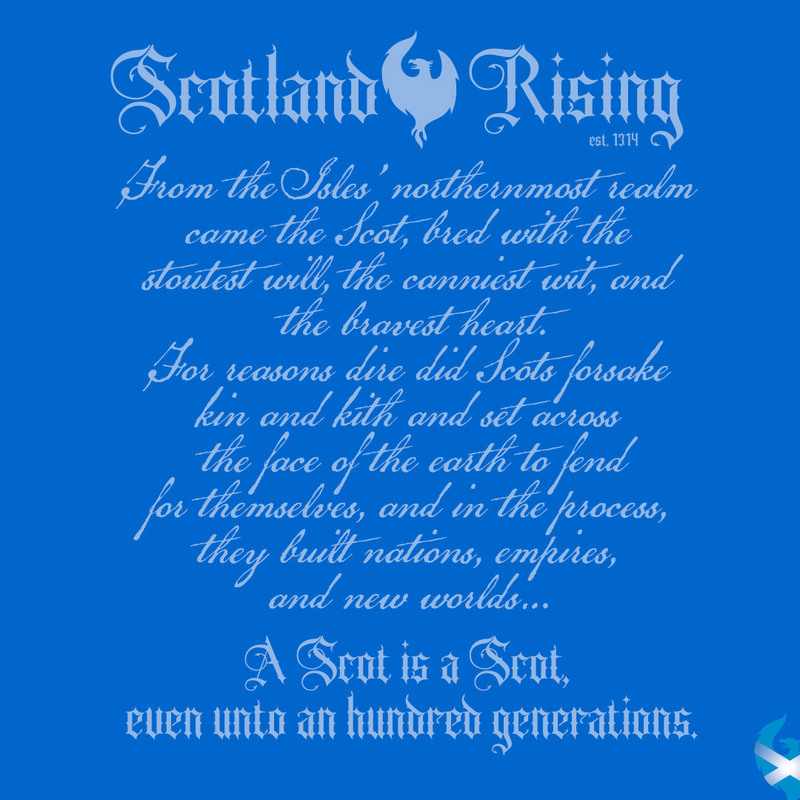 For reasons dire did Scots forsake kin and kith and set across the face of the earth to fend for themselves, and in the process they built nations, empires, and new worlds..." "A Scot is a Scot even unto an hundred generations." 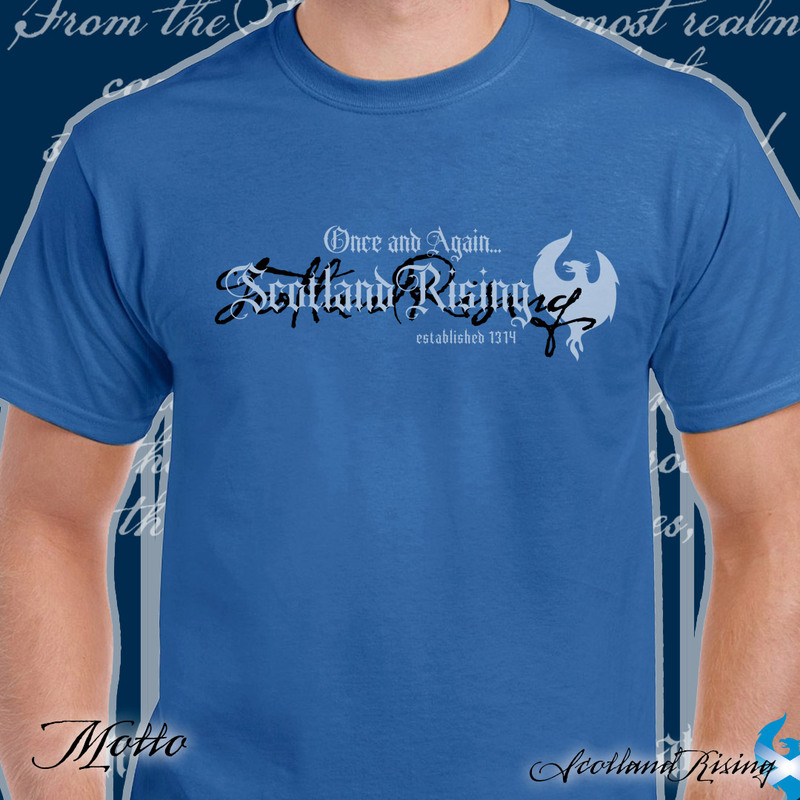 Available in adult sizes: Small - 5X-Large Talls available Limited Stock! Aloha Kakou! Just got my shirts today and am very happy with the look, fit and feel of the shirts. Can't wait to wear it next time the Ohana(Hawaiian for family) meet up. 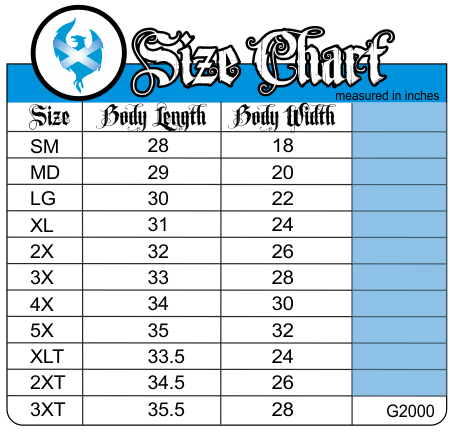 Fabric is fairly lightweight so its perfect for our weather here on the islands. Mele Kalikimaka Kakou!